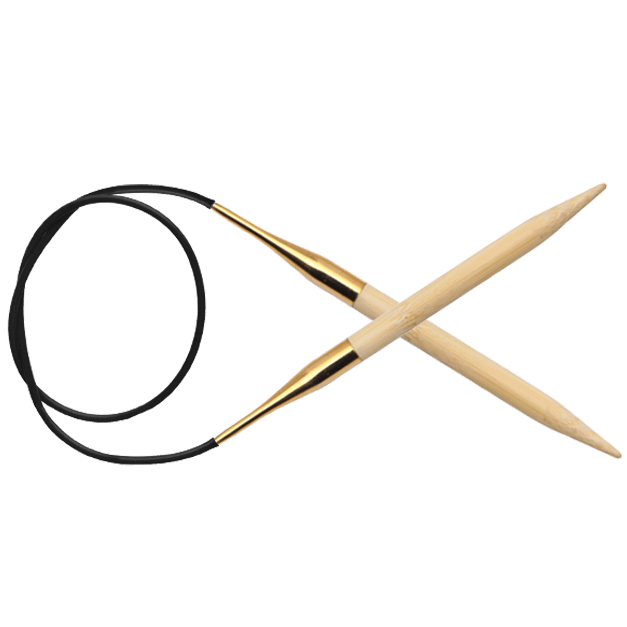 Circular needles of the finest Japanese bamboo are a joy to knit with. The cable ends are smooth so the stitches slide effortlessly over the needle without sticking at the junctions from needle to cable. The cable transitions are coated with 24 karat gold for a delicious, exclusive look. In addition, the cables are flexible and resilient so they are easily folded together without risk of cracking. Bamboo is known to be both strong and lightweight. The light weight ensures that the needles are comfortable to use and enables you to crochet for hours without getting sore hands and fingers. The needles are a great choice for beginners, as bamboo sticks are easy to hold and provide good control.